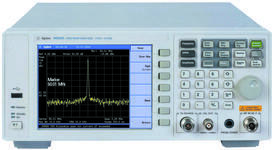 A spectrum analyzer measures the magnitude of an input signal versus frequency within the full frequency range of the instrument. The primary use is to measure the power of the spectrum of known and unknown signals. The input signal that a spectrum analyzer measures is electrical, however, spectral compositions of other signals, such as acoustic pressure waves and optical light waves, can be considered through the use of an appropriate transducer. Optical spectrum analyzers also exist, which use direct optical techniques such as a monochromator to make measurements. 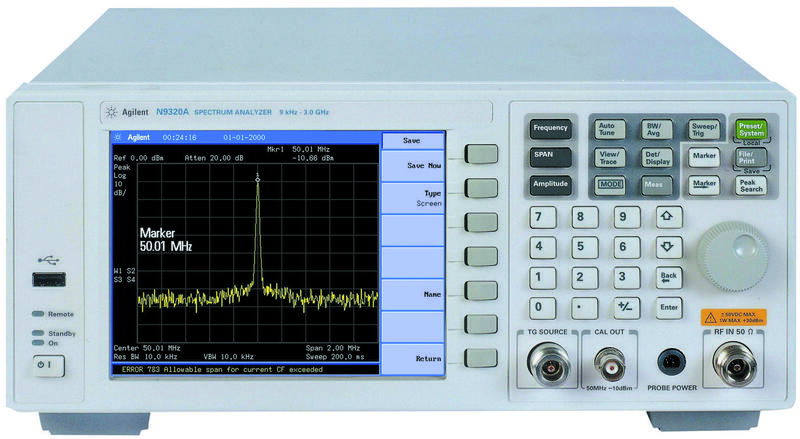 Check the rest of our spectrum analyzer equipment!